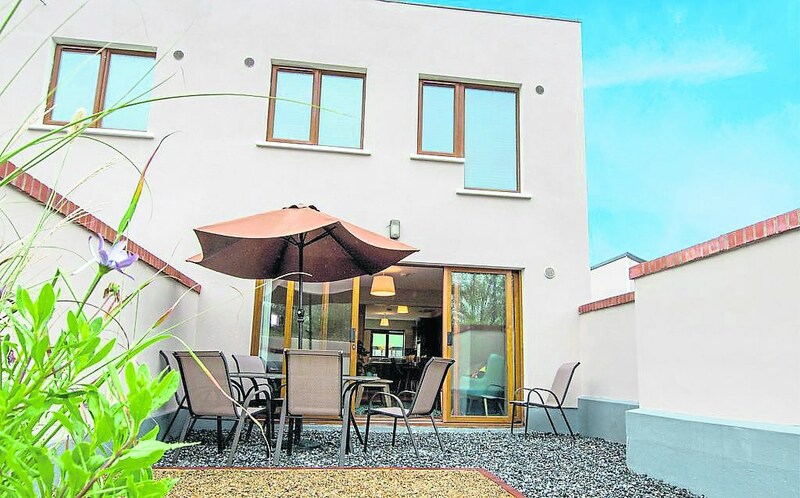 A unique regeneration project in North Leitrim is already attracting international recognition for its innovative approach to creating a high-end, sustainable tourism product. 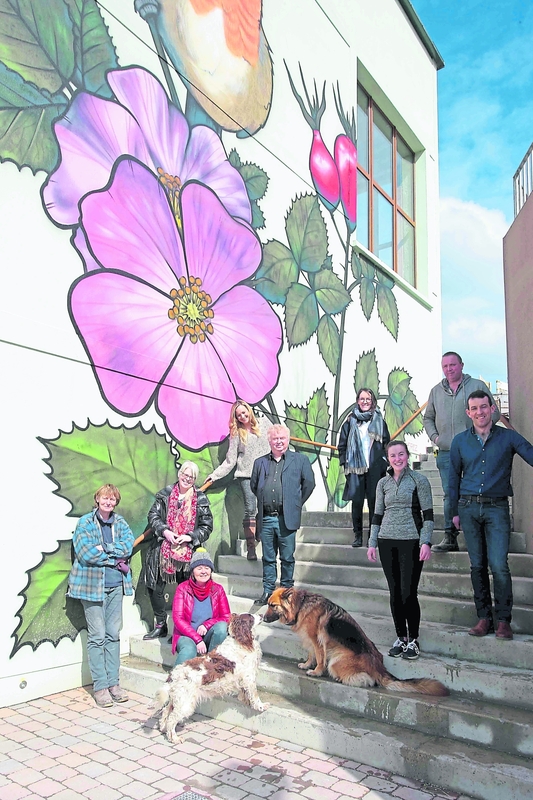 The quirkily titled W8 Centre - which takes its name from the GPS co-ordinates of Manorhamilton - is the brainchild of local businessman, Shane Kerrigan and a specialist team of experts. Providing holiday accommodation for up to 84 people in a mix of three bed townhouses and apartments along with retail facilities and a restaurant/cafe, function rooms and landscaped communal areas, W8 is striking visually and the attention to detail of finish, is remarkable. Only weeks from completion it is a hive of activity and a source of pride for those involved and the wider community. The change in the site over the last 14 months is nothing short of remarkable. It had been previously earmarked for commercial and residential development but the economic downturn called a halt to work nearly 10 years ago. Shane took the opportunity to buy the site, with the blessing of the previous owners who he says “along with the original business association who recognised the potential of the Backlands area, had the foresight to free up the land for further development”. Shane admits there was a “lot of soul searching” involved in trying to decide the final format for the multi-phase development. “I grew up here and I could see a need for something of this kind of development (W8) and I really felt that we could make a positive difference to the town and the area,” he said. Certainly there was a real need for additional accommodation in the town “something to complement the existing providers and to also add new capacity,” explains Shane. Shane is no stranger to the construction industry. His parents, Seamus and Mary, started the family quarrying business over 30 years ago. Shane took over the business and he paid tribute to the people of the area who have supported his family and their venture through the decades. “If my family hadn’t that support, if I hadn’t that support, I wouldn’t have been able to get involved in this project,” he said. Taking the brave decision to purchase the partially finished site, Shane had a vision, but he knew he needed help to make it a reality. 14 months ago business advisor, Alan Hill, came on board with the development. Some of the team behind the fabulous W8 centre. Together Shane and Alan brought in a team of ‘the very best’ including project manager, JJ O’Hara; interior designer Grainne McGarty of McGarty Design; garden designer, Leonie Cornelius; Sligo based restaurant owner, Bríd Torrades; artists Jackie McKenna and Marian Noone; Jakob Smit, graphic designer; Mary Byrne, architectural consultant; Davitt Planning and Design and Joanne Fergus, Portbeg Holiday Homes. “From the very first meeting, we knew we were involved in something special,” said Leonie Cornelius. 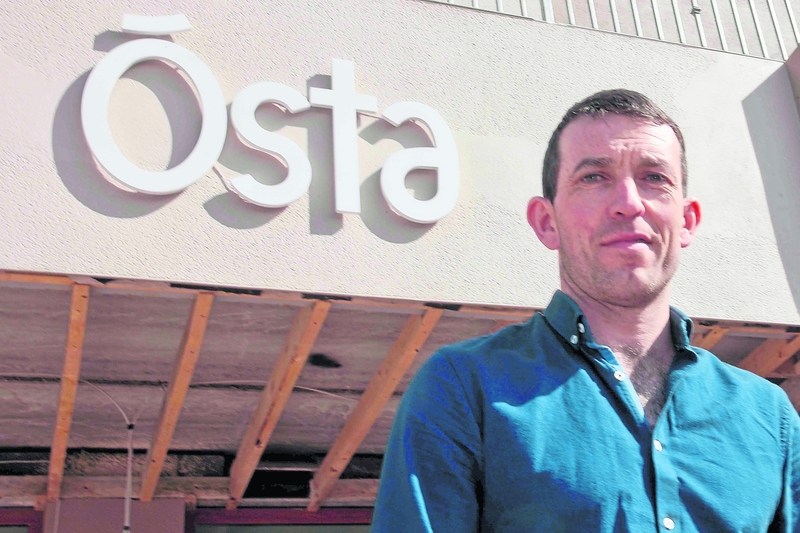 Developer, Shane Kerrigan is pictured outside of restaurant/cafe, Ósta, which is set to open this weekend. Alan points out that not only is this a new tourism concept for the region, “this is also about creating a platform for existing tourism businesses and future operators to use”. The Wild Atlantic Way, Hidden Heartlands and Ancient East Bord Failte tourism areas are something the W8 Centre hopes to captialise on. “We want to plug into those (tourism promotional areas). It is important that, as an area, we claim our place in the Wild Atlantic Way and Hidden Heartlands, in particular,” acknowledges Alan. 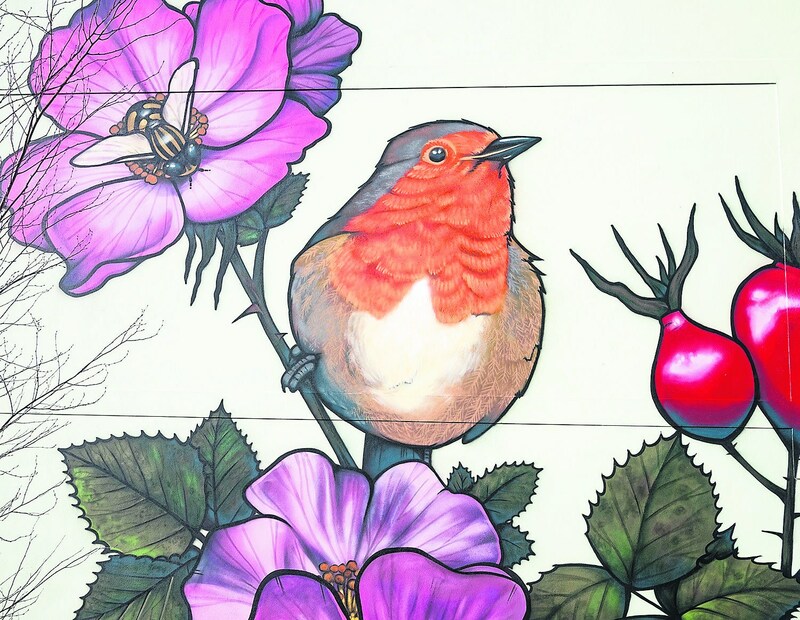 This stunning mural is just one of the artworks commissioned for the site. Project manager, JJ O’Hara points out that the key is to not only provide accommodation and food, but to create an experience which takes advantage of the scenery, activities and amenities in the wider area. “So if a person comes here for a week, we want to make it as easy as possible for them to experience all that this area has to offer. We want this to be a regional hub where people can stay and, most importantly, that they will want to come back to,” he said. To date six packages have been created covering health and wellness; craft and culture; foodie experiences; team bonding; outdoor activities and fishing. “We are looking to the future, to bringing more to this campus and to the community. I am proud of being from here and we want everyone who comes here to see what this area has to offer,” said Shane. Also see: At and inspiration from the landscape of North Leitrim in the fabulous new W8 Centre.